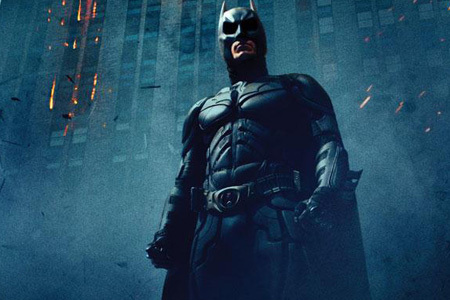 The Dark Knight  – Gives comic book films a new standard. A beautifully brooding action film that goes far beyond the standards of film to comic book transition. The special effects, action sequences, acting, music score and camera work melt together like ice in hot water, creating a dark film that’s jam-packed with memorable moments. Ledger is sensational as the always-interesting Joker, pulling off the character’s grim sense of humour just as well as his love for mayhem. An incredibly simple music score proves brilliantly effective at heightening tension whenever Joker is on-screen. There aren’t many other characters in films that are as engaging and the whole 2 hour 30 minutes seemed to revolve around him. Elsewhere the performances are solid; Bale (Batman) returning with his sore throat, Caine (Alfred) as the loyal servant, Eckhart (Dent) as the corrupted District Attorney, and Maggie Gyllenhaal (Rachel) as both Batman and Dent’s love interest. Then there’s the action sequences, all hugely entertaining and well put together. At times it does feel like it’s straying along the Michael Bay path of explosions and gunfire, but Batman has much more depth. Scenes that thrive on dialogue are just as intense as those that thrive on special effects and it makes for a well-balanced film. I’ve always preferred it when a comic book film tries to adapt on the concepts of the real world we all know and love (or hate as the case may be). The Dark Knight does this better than any before it. Yes, it suffers from the same corny one-liners and strangely impossible things that happen in comic book films, but it really does base itself in technology and realism, not extremely rare spiders and experiments gone wrong. It was a shame that the ending didn’t feel as memorable to me as the rest of the film. I didn’t believe Harvey Dent would go to extreme measures as he did despite what had happened to him. 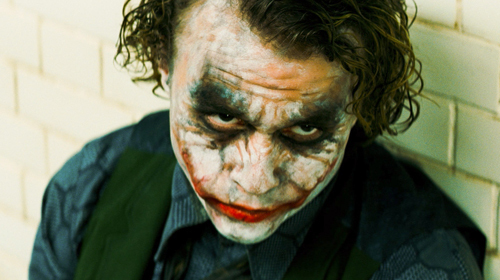 Nevertheless I thoroughly enjoyed The Dark Knight and I definitely state it as one of my favourites of 2008. Posted on March 6, 2012, in Films, Reviews and tagged 2008, aaron eckhart, action, batman, christian bale, christopher nolan, crime, drama, films, heath ledger, joker, reviews, the dark knight. Bookmark the permalink. 1 Comment. Haylee HulingReally enjoyed this blog post. Want more. Black Swan  – One of the great films of the last decade. To follow this blog then enter your e-mail below.